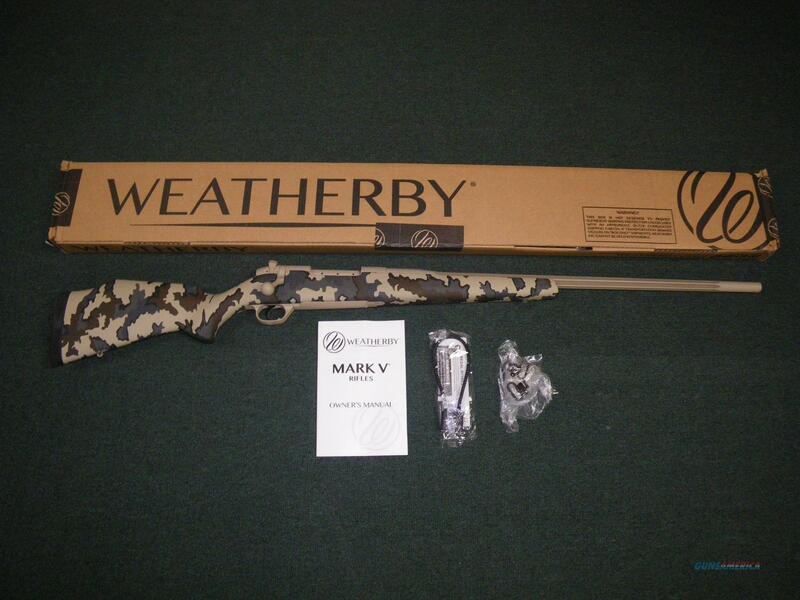 Description: You are bidding on a new Weatherby Mark V Arroyo in 6.5-300 Weatherby Magnum with a 26" barrel. This firearm has a hand-laminated, raised comb, Monte Carlo composite stock with CNC-machined aluminum bedding plate and features KUIU Vias camo. The Metalwork features a two-tone Cerakote finish with Desert Sand and Flat Dark Earth added flutes. Displayed images are stock photos. Any questions please feel free to ask (our phone number is in the additional information tab above).